Another excellent pasta recipe. Quick and delicious If you like a little heat with your pasta, this is the dish for you. Tender shrimp rich with a spicy red gravy. 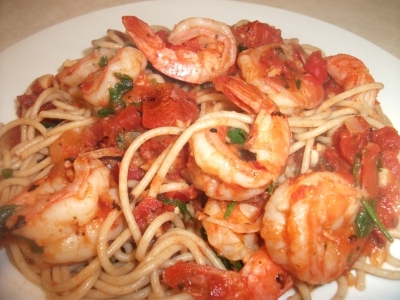 If you like spicy, Shrimp Fra Diavolo is for you. There is nothing like a little heat when eating Italian food. Red pepper flakes are from heaven and I think they were specially made to be combined with shrimp. 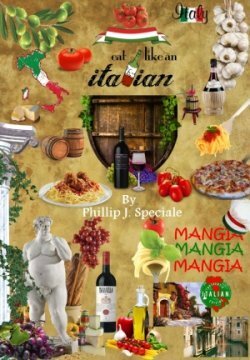 Very proud to announce my new paperback "Eat Like an Italian" will be released around the first of April. This book will contain most of our old favorites plus many new recipes. Official release will be announced through our newsletterm "Shut Up and Mangia", and our Facebook page. Again thank you for your support. Without you we would not exist.